It’s hard to imagine an automotive giant like Volkswagen being a little slow to the SUV game. But it’s not had a new SUV in a while: the Touareg is nearing the end of its model life cycle, and the Tiguan has been a familiar sight but clearly based on an older chassis that has none of the bells and whistles of the MQB-equipped Mk7 Golf. 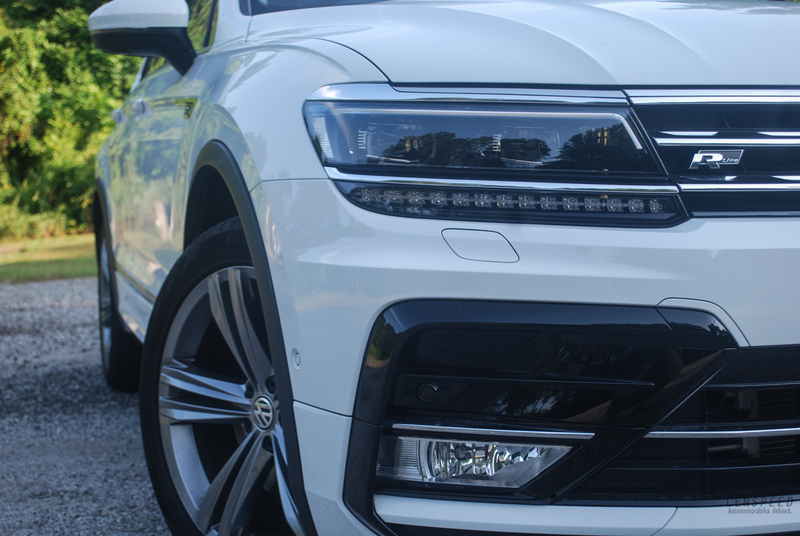 So when we finally set our eyes on the new Tiguan, we can’t help but think VW must be anticipating for this car as much as we did, given that SUVs are all the rage now. Any later and VW might have let the ship sail and then some. The new Tiguan is actually the first VW SUV on the MQB chassis, which is remarkable considering the Mk7 Golf was unveiled in 2012 using the same platform. So MQB isn’t new to us, and as loyal Lenspeed readers will already know, we are fans of it. But it is noteworthy to point out that it’s not the newest kid on the block now, and other manufacturers have certainly used the time gap to close in on any advantage. So just how good is the new Tiguan? We certainly like the looks. While the last model was too conservatively designed for its own good, the new Tiguan looks rough and tough. Squarer and chiselled-off dimensions mean that it is better than most at its price point in warding off the Prius in front hogging the overtaking lane. It’s not all just cosmetic, though – there is a reduction in overall height yet this has not compromised on interior space. There is now 29mm more knee room for rear passengers, and 1,655 litres of boot space if you fold all seats down. On the utility front, it’s certainly got you covered. 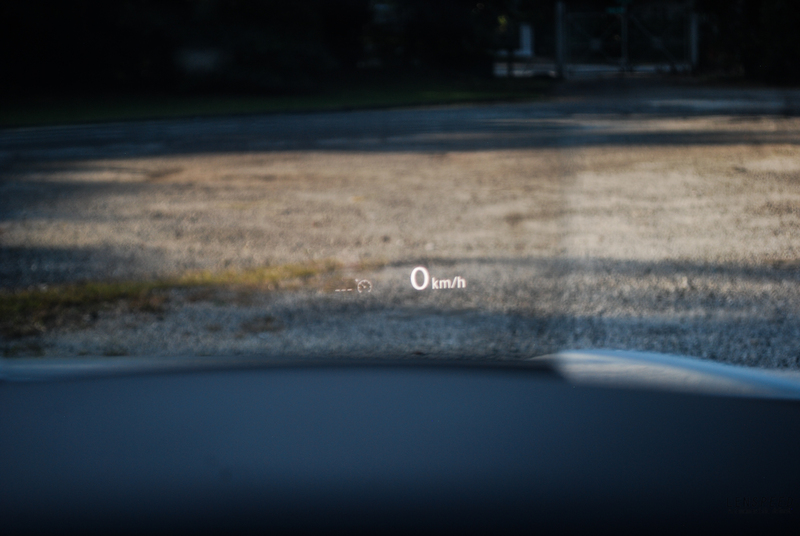 We also like the small details, such as how VW reduced drag on the door mirror housings by 40% by streamlining the design. Build quality and design is everything you’d hoped for, and the Tiguan is clearly and strongly thrust into the contemporary competitive set with deep credentials. The interior is classy and well put together, and there is no escaping the fact that the Tiguan is fully loaded with technology, some that you will adore and some you will not need. 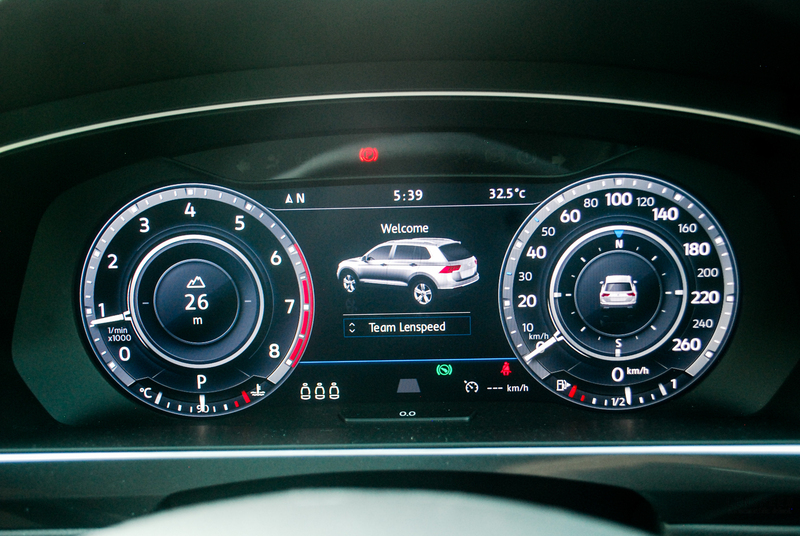 We had the top-of-the-line Tiguan R-Line for this test drive, and it came with toys such as Adaptive Cruise Control, Easy Open and Easy Close and Head-up Display. 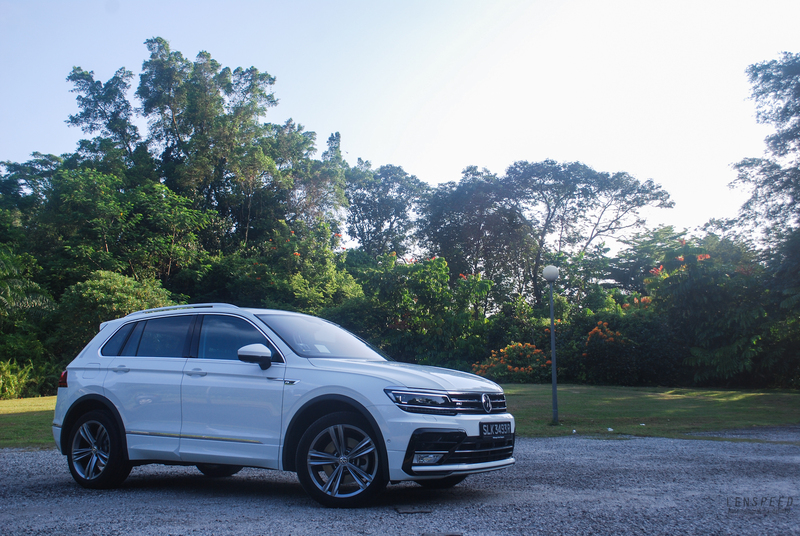 The last feature made its debut in Singapore for VW with the Tiguan. 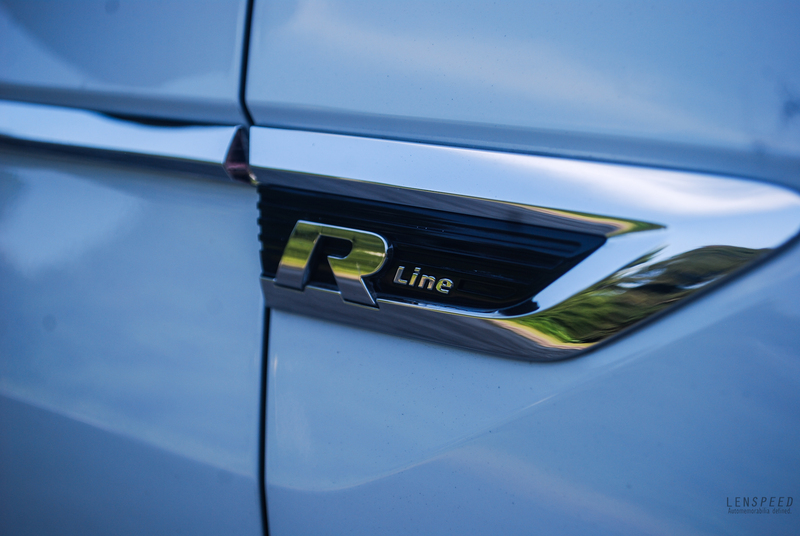 Thus equipped, the Tiguan R-Line also comes with the familiar 220PS / 350Nm 2.0-litre engine that also powers the Golf GTI. 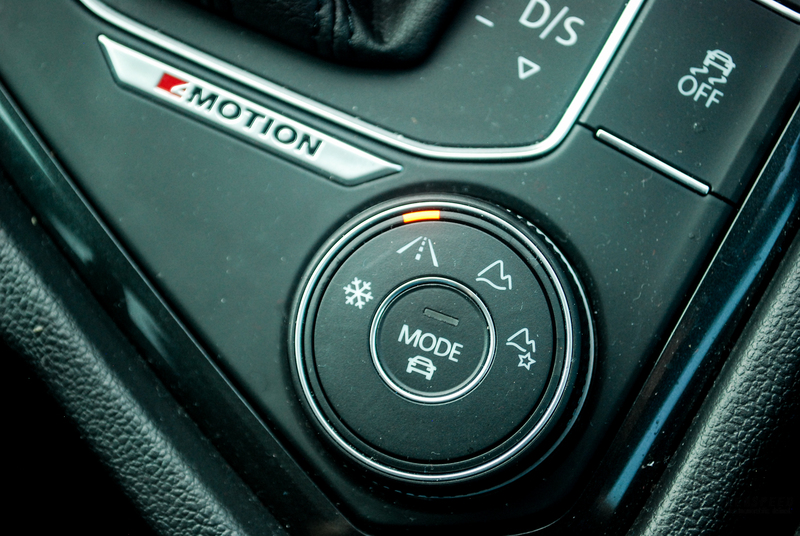 Thus performance is never left wanting and like most contemporary MQB VWs, it is very willing to tango with you. It is immensely drivable, and feels like an AWD Golf GTI raised up to take the dunes. The steering is light but accurate; the grip is lovely and you could almost imagine each of the four corners of the car right in your mind, such is how compact and lively it feels. You won’t be selling yourself short if you picked this over a BMW X3 in terms of handling. 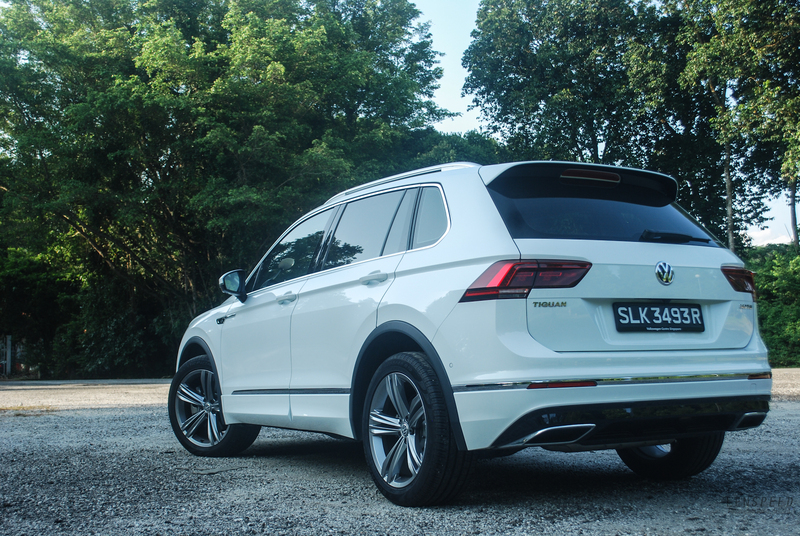 It felt like VW really positioned the Tiguan at the premium end of the market this time. With so many standard features, it’s no surprise that it currently retails for $203,400 with COE at time of writing. It’s certainly pricing itself out of big sellers locally like the Harrier Turbo ($163,988 for the top end model), and expectations are great when the asking price is high. We think the Tiguan meets them well, but we just wished for a little more pizzazz to set itself apart from the competition. It’s a tried-and-tested formula that has worked well in the past but one wonders whether it’s still enough to get enough skin in the game. Cars like the Peugeot 3008 already impresses from the showroom floor with its class-leading exterior and interior design, which for some may already be enough to lure the heart to sign on the dotted line.